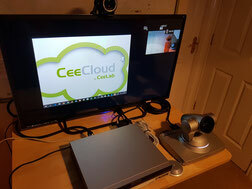 At CeeLab we believe that high quality video conferencing allows for efficient business. As part of our commitment to improving business efficiency we offer a 4-week free demo of our hardware and video conferencing service so you can try the benefits for yourself. In the videos below we discuss the hardware that is part of the demo.